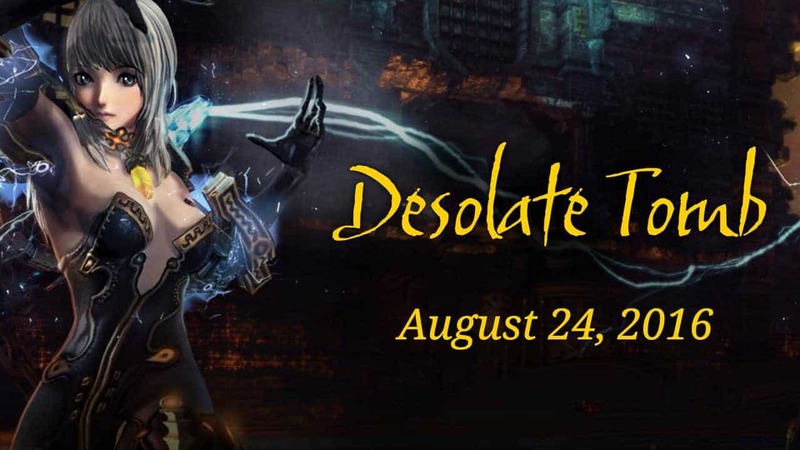 NCSOFT today announced that Blade & Soul’s latest content update, Desolate Tomb, will be going live on August 24, featuring the most challenging dungeon to date. As players enter the Desolate Tomb dungeon, they will be faced with the invading Talus Army in the Tomb of the Exiles, where the soldiers have gone to study Naryu automation technology. Additionally, the update incorporates PvP improvements that introduce weekly and Season rewards for 3v3 Tag Match and 6v6 Whirlwind Valley, with the latter experience now offering a pre-made party size capped at two players for the optimal match-making experience. Desolate Tomb Overview: The next level challenge content arrives with the introduction of the Desolate Tomb dungeon. Also with the update are numerous quality of life improvements, including Whirlwind Valley changes, weapon evolution discounts, and a new DPS Meter. For more information on all of the features shipping with this update, please check out the official web page for Desolate Tomb.